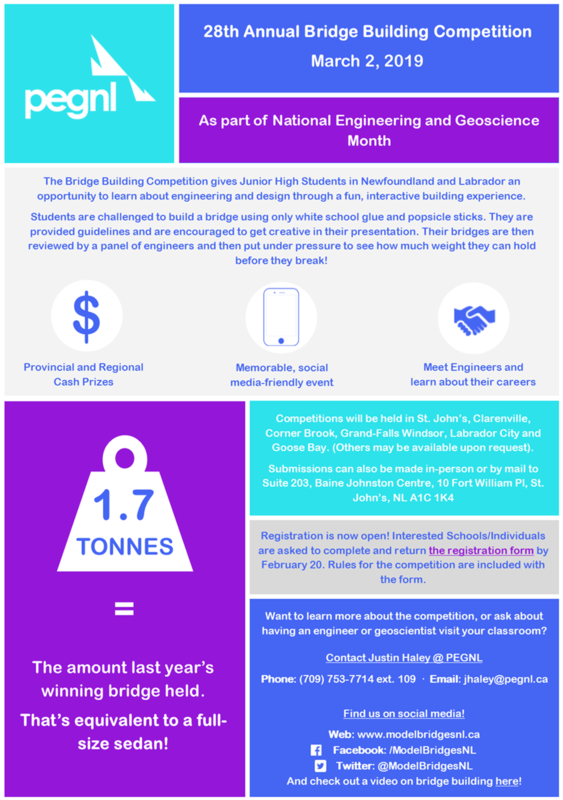 The 2019 Annual Bridge Building Competition is taking place in March! Junior High students are challenged with building a bridge out of popsicle sticks to be put under pressure to see the weight it will hold. This is the 28th year of the competition with challenges happening across the province. Learn more about our event here. If you would like to register a team or school, find our form and information package here.